HONDA QUALITY! CLEAN CAR FAX! 4X4! LEATHER! SUNROOF! 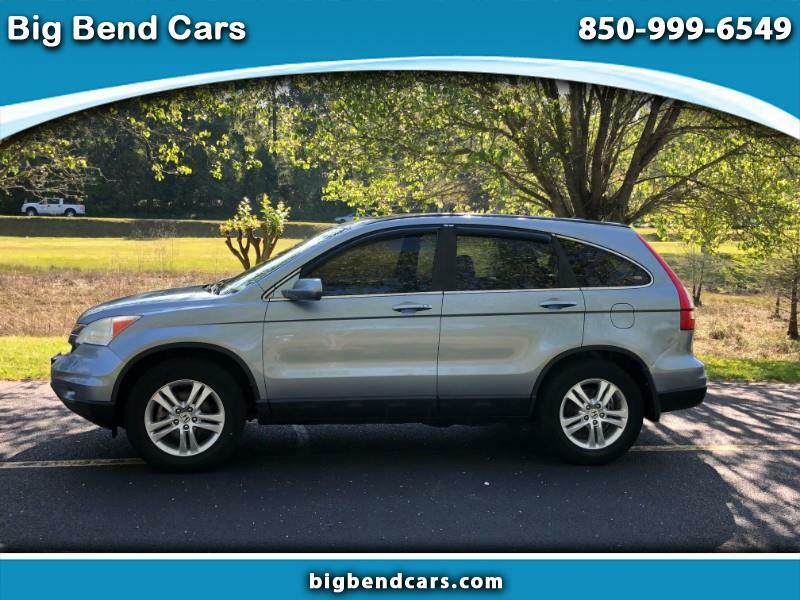 Includes:4-Cyl, VTEC, 2.4 Liter, Automatic, 5-Spd w/Overdrive, 4WD, Traction Control, Stability Control, ABS (4-Wheel), Anti-Theft System, Keyless Entry, Air Conditioning, Power Windows, Power Door Locks, Cruise Control, Power Steering, Tilt Wheel, AM/FM Stereo, XM Satellite, Dual Air Bags, Side Air Bags, F&R Head Curtain Air Bags, Daytime Running Lights. The Honda CR-V is probably the best vehicle in this class. Its interior is packaged the best, with seats that fold down to provide a completely flat cargo area. Small refinements for 2010 make the interior a bit more user-friendly, and styling revisions freshen its looks. Honda's Real Time 4WD is a car-style all-wheel-drive system, not a true off-highway truck-type four-wheel drive, as it incorporates no lockable transfer case or ultra-low, off-road gearing. We found it works seamlessly, invisibly allocating power to the tires slipping the least, although always favoring the front wheels by default. The optional Real Time 4WD is a great asset for driving in foul weather, snow and ice. The Honda CR-V is among the best of the compact SUVs and it's hugely popular. For 2010, Honda CR-V boasts significant changes. The 2010 Honda CR-V has been re-styled, with a look that's smoother and more confident. Inside are new fabrics, new controls, and more standard conveniences. Some of the changes are less obvious: The 2010 CR-V four-cylinder engine is 8 percent more powerful and 4 percent more fuel-efficient than previously. The EX-L ($26,495) features leather-trimmed seats, armrests, shifter, and steering wheel; heated front seats; heated side mirrors; XM satellite radio with a 90-day trial subscription; front center console with storage for 24 CDs (replacing the collapsible tray); dual-zone automatic climate control; eight-way power-adjustable driver's seat plus power lumbar support; and a 270-watt, seven-speaker (including subwoofer) premium audio system. New for 2010 are a USB audio interface for the stereo, and automatic (on/off) headlights. For 2010, the Honda CR-V gets numerous upgrades and improvements: a more powerful engine, a restyled exterior, an updated interior and an improved standard feature list. The liftgate has been redesigned and is now one piece. It opens upward for easy loading and unloading. Wide rear-door openings and a lower height allow for easy passenger entry and exit. The engine has been fine-tuned so that it offers an additional 16 horsepower for the 2010 model year. Smooth, sleek lines accent the CR-V's refreshed exterior for 2010. The front fascia's upper grille has just one horizontal chrome-style cross bar instead of two from previous years. The hood's sheet metal now flows into the upper grille. The lower portion gets a honeycomb design for 2010, which replaces a 3-bar horizontal cross design. Optional fog lights are now enveloped within the front bumper's painted surface, which now extends lower on the vehicle. In back, the reshaped rear bumper's painted surface area now encompasses the red rear lights. Inside, the 2010 CR-V has a wider center armrest, a new door handle design with rubberized grip and some new fabric choices. The rear seat now splits 40/20/40 instead of the conventional 60/40 split.